When cared for correctly, laminate flooring will give you years of use. With an impenetrable top layer, laminate flooring is designed to clean easily and should only require light cleaning to keep it in the best condition. Laminated floors are naturally hypo-allergenic because the non-porous finish does not allow for the breeding of micro-organisms such as dust mites. The seamless finish between planks leaves little room for dirt to become trapped between planks, keeping your home hygienically clean for your whole family to enjoy. Trap dirt at entrances using special dirt trapping rugs. This will prevent people from walking dirt and small stones onto your floor and scratching the laminate surface. Avoid rubber-based mats which could leach into the laminate floor. Use felt pads underneath your furniture and replace metal castors with rubber ones which are softer on your laminate floor. Take extra care when moving heavy furniture across the laminate floor, use carpets and towels under trolleys carrying heavy objects to avoid indentations. High-heels and dogs nails are not laminate-friendly. Remove high-heels when entering the home or make use of runners in entrances and passageways. Keep your pet’s nails groomed so as not to scratch the surface of the floor. Do not use steel wool or scouring pads when cleaning your laminate because they will cause damage to the surface layer. Rearrange your furniture and rugs every couple of years to distribute traffic across the floor, in order to help your laminate age more evenly. Put up blinds or curtains that block the UV rays, which could fade the design layer of your flooring. Blinds or curtains will also minimise the heat generated from direct sunlight and add years to your floor’s life. Keep your floor dirt-free using a dry micro-fibre mop or vacuum without any attachment which could scuff your floor. Wipe up spills immediately and avoid excessive moisture and pooling. Remember that at its core, laminates are wood, and water causes wood to swell. You want to avoid warping your laminate planks at all costs. 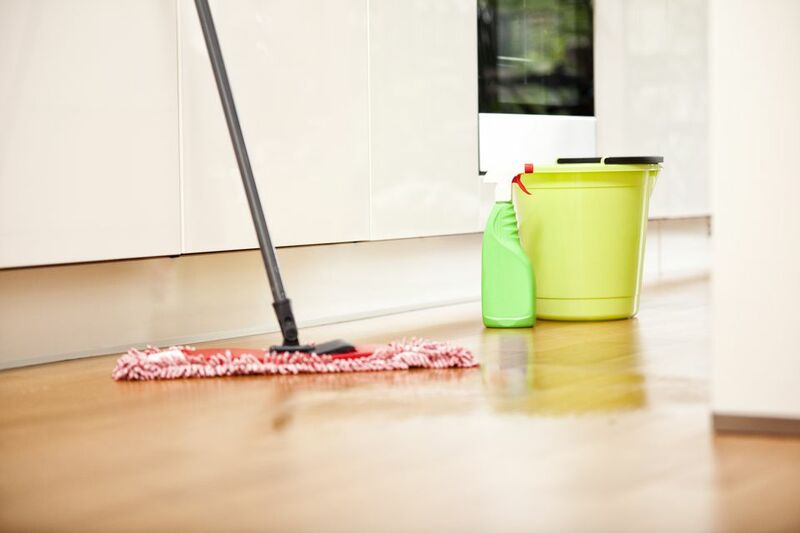 Avoid wet mopping, rather use a lightly damp cloth or micro-fibre mop and a vinegar solution (1 part vinegar to 3 parts water), which will not leave residue like soaps or damage your floor like chemical compounds and abrasive detergents could. Pure acetone works effectively at cleaning off most stubborn marks like permanent marker, tar and nail polish. Remember if you live in a particularly sandy area, or have a family that loves mountain-biking and trekking dirt into the house, you will need to vacuum your floors more regularly to keep your floors in tip-top condition. Your floor is protected under the Finfloor 5 to 25-year warrantee depending on the product selection and application. Make sure that you keep your warrantee card in a safe place, so that should the day ever come when you may need to submit a claim, you will be able to do so hassle-free.